That’s right — on March 12, 2010, I wrote my first post introducing howiGit’s blog to the world. I wasn’t completely sure why I was blogging, and I certainly didn’t expect that this is what would become of it. On that first day, howiGit’s blog had 11 readers — on a recent day past we had 2200+ readers. We’ve had articles reach #1 on Google searches, we’ve had 300+ posts, 3500+ comments, and subscriptions are growing every day. I started out solo and the site has grown to having 6 steadily contributing writers. We’ve certainly come a long way and I’d like to thank the following people for being a part of the action. 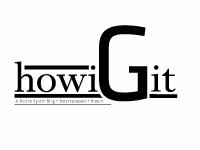 Big things are coming down the pike for howiGit’s blog in 2011 — you’ll be seeing a new redesigned version of the site launching this upcoming week. The redesigned site will help us grow even more, and we’ll also be adding a Philadelphia writer in the upcoming weeks as well. Keep tuning in, and we’ll keep on bringing it. Between the Celtics, Bruins, Red Sox, and Patriots there’s got to be a championship on the horizon for 2011.